Mommy Moments with Abby's review of Beauty Box: I run around all the time and it can take a toll on my body and mind. So, when this little box came it was my excuse to take 5 minutes to myself. It offered some great products to help me refresh. The pocket sized Aveeno lotion was perfect for my dried out hands! The face wash travel size is perfect for those days where I can't get home to freshen up from the runny noses, sweat, sticky fingers, and lord only knows what else ends up smearing my make up during the day as a mom! The lip liner is meant to help create your own lip edges. It is a color similar to the natural color of lips so it easily blends with my own lips to make them look fuller. 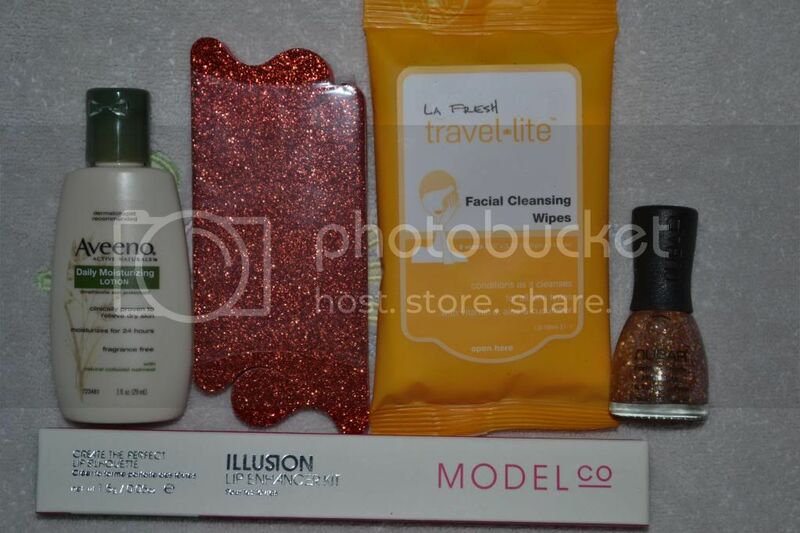 The fun glittery nail polish and toe separator are perfect for the holiday season. This is perfect for a little mom-up moment. 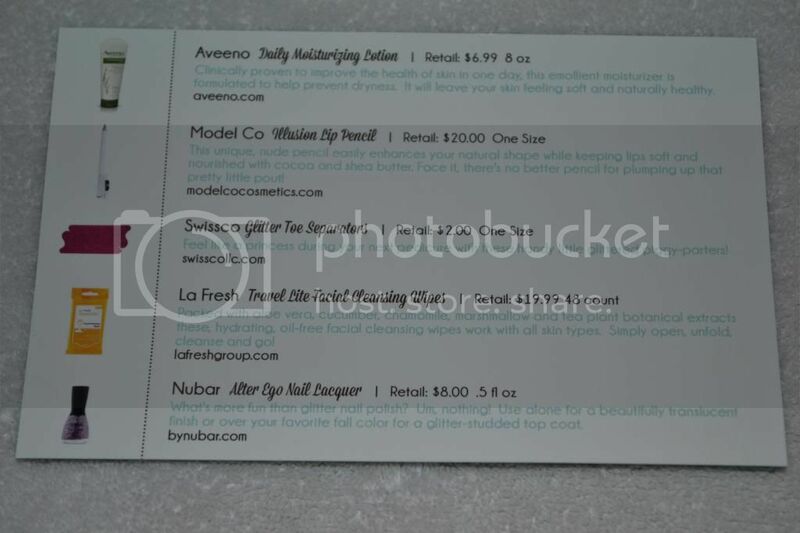 They come each month with a subscription and the products can be used more than once allowing for many little escapes. 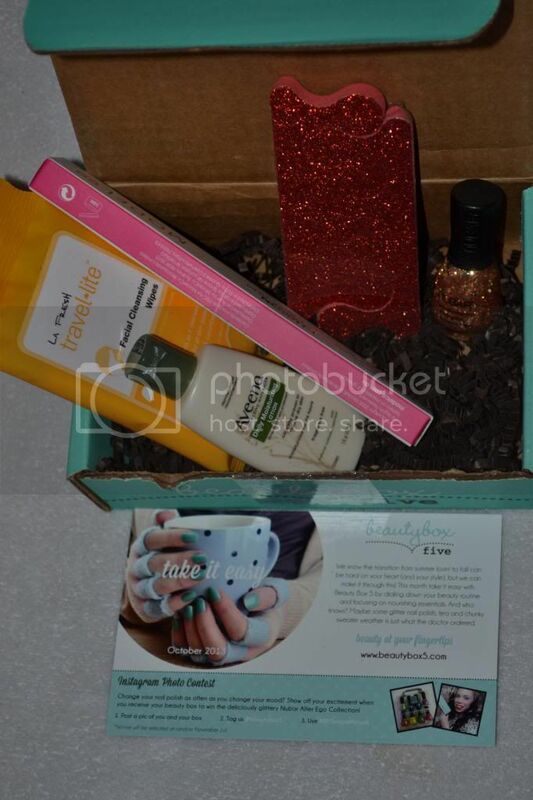 Every month you'll receive a box with a mixture of cosmetic brands. 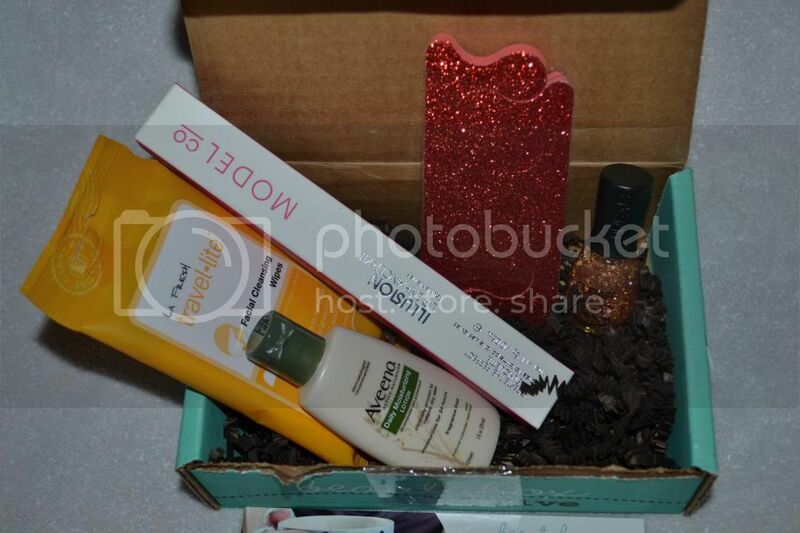 Your beauty box will include a selection of makeup, hair care, skin care, nail care, fragrances and beauty accessories.